Anti-Jewish writer of the sixteenth century; born at Holtwick in Westphalia in 1491; died at Cologne May 21, 1542. He was the son of a priest, and became one of the chiefs of the Dominican party in Cologne. 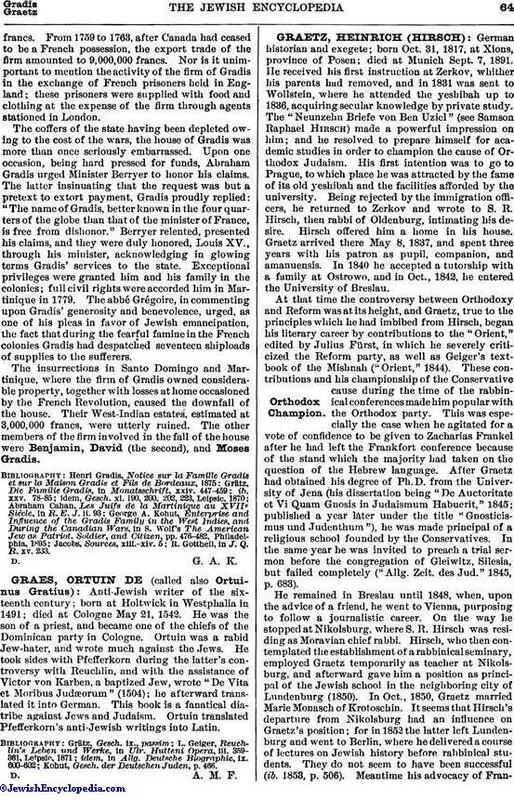 Ortuin was a rabid Jew-hater, and wrote much against the Jews. He took sides with Pfefferkorn during the latter's controversy with Reuchlin, and with the assistance of Victor von Karben, a baptized Jew, wrote "De Vita et Moribus Judæorum" (1504); he afterward translated it into German. This book is a fanatical diatribe against Jews and Judaism. Ortuin translated Pfefferkorn's anti-Jewish writings into Latin. Kohut, Gesch. der Deutschen Juden, p. 466.